We are privileged to have one of the most experienced and talented assisted living care teams in the state of Michigan. Many of our team members have been employed at this location for many years, something you may not see at other care facilities. We have also added several new faces to further our expertise and ensure that we EXCEED the state required resident to staff ratios for all shifts. Sandyside’s experienced and talented staff of elderly care specialists make our residents feel at home! Meet the team who will be caring for your loved one. Dr. Mahesh is the new Medical Director at Sandyside Senior Living. He is a board-certified internal medicine physician. 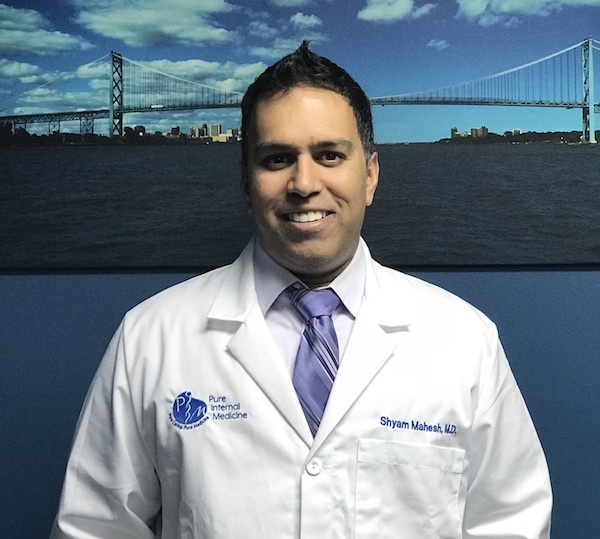 Dr, Mahesh has been on staff at Huron Valley Hospital in Commerce Township for the last several years. Recently, he opened his own office in Commerce Township. We at Sandyside felt that it was important to have one of our local physicians caring for our residents. This means if any one of our residents has to be sent to the hospital, they will see the same doctor they see at our facility. Mary Johnson runs our kitchen and has been employed at this facility since 2012. Lacracha Watkins is a vital part of our care team. She has been employed at this facility for five years. She drives from Detroit four days a week to help care for your loved one’s. She serves as a team leader on our midnight shift. Lacracha had worked at several other metro Detroit Adult Foster Care Homes before finding her way to us, and we are very glad she is here. Allison Kennedy is a valued elderly caregiver that has been working at our facility since 2013 as well. Allison will work both our day shift (7 am – 3 pm) or our afternoon (3 pm – 11 pm) shift . Keona Foster is another valued caregiver, she has worked in Senior Care for over 5 years. Keona is currently working full time on our midnight shift. Mary Alderson is our other cook. She is the daughter in law of the longtime owner Marie and has worked in this building for many years part time. Dennis Maki joined our staff in the summer of 2018. Dennis has been a longtime friend of Mike and Tim and after several failed attempts by Mike and Tim to hire Dennis, he finally agreed to join our Sandyside team. Susan Davis just joined our staff in January 2018. Susan owned and operated her own daycare center for many years. Working at Sandyside was only supposed to be a one or two day a week obligation, but Susan has fallen in love with our residents and caring for them and now Susan finds herself almost full time, so much for retirement. We are thrilled to have had her join us! Susan Thompson joined our staff in November 2018. She has known our owner Mike for over 20 years and Mike persuaded her to join us at Sandyside. Sue is the third member of our cooking staff and we are thrilled to have her on our team. Meghan Weber is a recent high school graduate who is starting to pursue a degree and ultimately a career in nursing. She is a CNA and a certified EMT. Kelly Bowers Kelly joined us in April 2018. She has been involved in various aspects of senior care for many years. She has brought a vast array of knowledge from her past experiences. Kelly will be a regular on our afternoon shift. Danae Sandy is a CNA who just recently joined our team. She moved down from the Upper Pennisula to spend time with her boyfriend. She is a mainstay on our afternoon and midnight shifts. Elizabeth Harris has been involved in patient care for over 25 years. She has worked in giant facilities and most recently as a home based caregiver. In her time in patient care there is not much she has not seen or done. She has only been with us a short time, but has already been invaluable helping us institute new polices and procedures. Jane Helka just joined us at Sandyside in late December 2018, she has worked at a couple other local facilities and has several years of senior care experience. You will see Jane working with us mornings from 7 am – 3 pm and an occasional afternoon shift from 3 pm – 11 am. Kenisha Johnson also just joined us in December 2018. She will be working 3 days a week both mornings and afternoons. She has several years of health care experience. She will continue to work at Beaumont Hospital in Royal Oak. We are thrilled to have her bring her clinical experience to Sandyside. Jennifer Bracy is a new addition to Sandyside and to senior care. Jennifer has worked for several other business in our area, we are excited to have Jennifer on our team. Katherine Sanifilippo “Katie” is our newest staff member, she is new to senior care in a facility setting, but she was instrumental in the care of her late grandmother. She has a sincere love for the elderly and is excited to start her new career. It is her desire to be involved in senior care for many years to come. Timothy Nye and Michael Piagentini have been friends for 25 years. They first met while they were both teenagers working at a local funeral home. 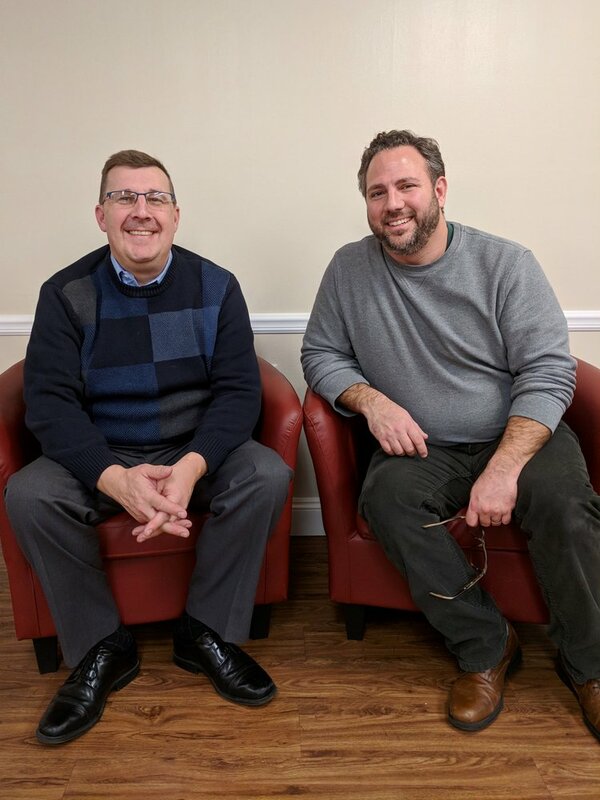 Both Mike and Tim are licensed funeral directors and had been looking at buying a funeral home for the last few years, when this opportunity crossed their paths. They have always enjoyed aiding the elderly and buying this facility just seemed like a natural fit for both of them. Both Mike and Tim are very active in the day to day operations and both can be seen everyday at Sandyside Senior Living’s beautiful facility in White Lake, MI. We take the business of providing exceptional care very seriously. As such, we are always looking for the best talent in the industry. If you are looking for a career as a Certified Nursing Assistant (CNA) in the Detroit area, or you are an experienced elderly caregiver, you might consider Sandyside Senior Living. Ideal team members must be passionate about providing exceptional care in a team-centric environment.